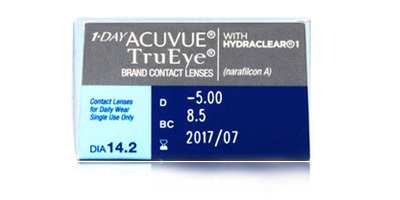 1 day Acuvue Trueye 30 pack offers you the unique experience of enjoying the Silicon Hydrogel (narafilcon A) comfort. 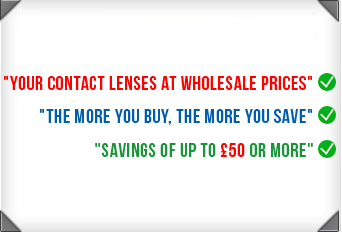 They are known for their vision acuity and exceptional and lasting moisture. Silicon hydrogel ensures supreme oxygen permeability, allowing nearly 100% of the oxygen to pass through to the eye. This keeps your eyes white and clear. The HYDRACLEAR 1 technology ensures a smooth and moisture rich feeling. 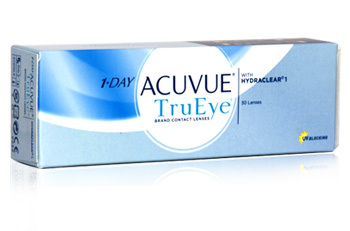 If you like enjoying your life to the fullest, then 1 day Acuvue Trueye 30 pack lenses are a good place to start. You can sport bright, clear, healthy eyes all day, every day. They keep your eyes in their natural state, with no extra effort. 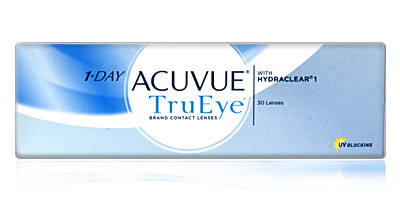 Get the greatest deal when you buy 1 day Acuvue Trueye 30 pack contact lenses from us. We are authentic dealers and source all our products directly from the manufacturers.